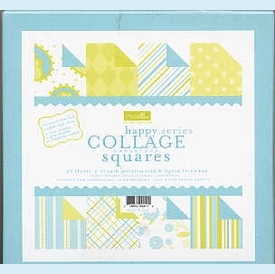 These square sheets are perfect for scrapbooking, cardmaking and other paper crafts. The 4x4" size folds perfectly into a 2x4" placecard...perfect for baby or bridal shower tables, just add handwritten name! 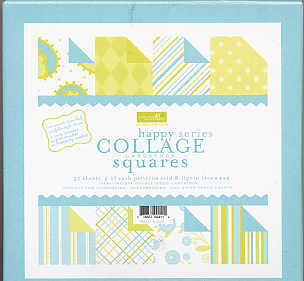 32 sheets of heavy-weight double-sided cardstock are included in each box, with 4 squares of each blue pattern. Acid and lignin free. NOTE: Only a few left! SIZE DIMENSIONS: 4" x 4"